Memories of near-death experiences (NDE) shared by victims all across the world on NDERF (Near Death Experience Research Foundation) website have been baffling experts for the past few years, and the latest one in this long list is a testimonial shared by a woman named Anni. In the testimonial, the woman reveals the experience she felt during an NDE which happened long back in 1974. Can the soul leave the body? The NDE victim claims to have seen her own body from above when doctors were busy treating her. Anni argues that during these moments, she felt no pain or pressure, and all she experienced was immense joy and exhilaration. "The first thing I experienced was that I could suddenly see my body from above. I saw that the doctors were incredibly busy treating me, but I didn't understand. I felt wonderful and light where I was. I had no pain and no problems. This was evidence to me that the soul can leave the body. I clearly remember that I hovered over the doctor who conducted the treatment," wrote the NDE victim on the NDERF website. The near-death experience shared by Anni was also very similar to the previous testimonials shared by other victims. Anni reveals that she went through a tunnel filled with light which was not earthly. After walking through the tunnel, she reached a meadow filled with flowers and a wide array of colors. Anni believes that the meadow she saw during the neat death experience is the most beautiful sight she has ever seen in her life. "After hovering around at earth, I went through a tunnel. At the end of the tunnel, there was a light so indescribably strong. It was nothing like an earthly light. I went to a peaceful place. I saw a beautiful meadow. There were flowers and colors that were so fantastic that our earthly brain can't comprehend it. The colors we have here on earth are very pale in comparison to the colors I experienced in the spiritual realm," added Anni. Anni also claimed to have various spiritual experiences after coming back to life. She even argues that she had flown above the figure of Christ standing with open arms. NDE mystery continues: Is afterlife real? 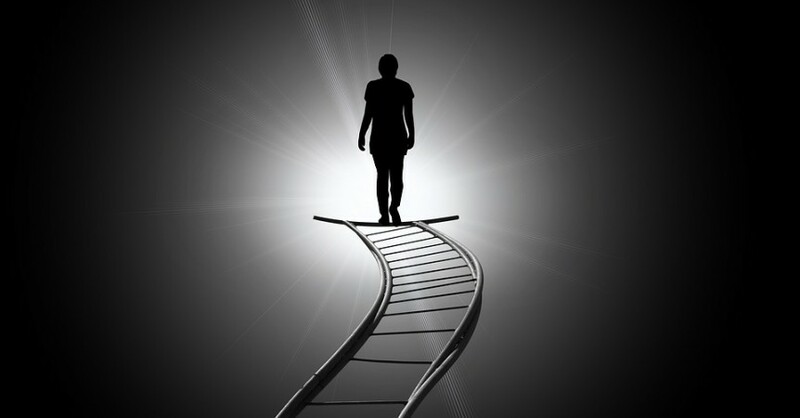 Experiences shared by NDE victims are widely being used to spiritualists to substantiate that afterlife is a reality, and humans used to continue their journey in the form of soul even after death. However, medical experts are not ready to accept this explanation. As per experts, NDE is something that can be easily explained, as it is something which is the result of the human brain's survival technique. During near-death experiences, the brain will adopt a survival technique, and this is the real cause of visual hallucinations which people encounter during life-threatening events.